Bosworth battlefield has been on my things to do in England list for years, but somehow we never got round to it. Now that we've moved closer, we really had no excuse. And when we found that the famous battle's 526th anniversary was to be celebrated with a reenactment weekend, our choice was made. And even though I'm not fond of crowds, our day amongst kings, knights, soldiers and camp followers was well worth the trip. 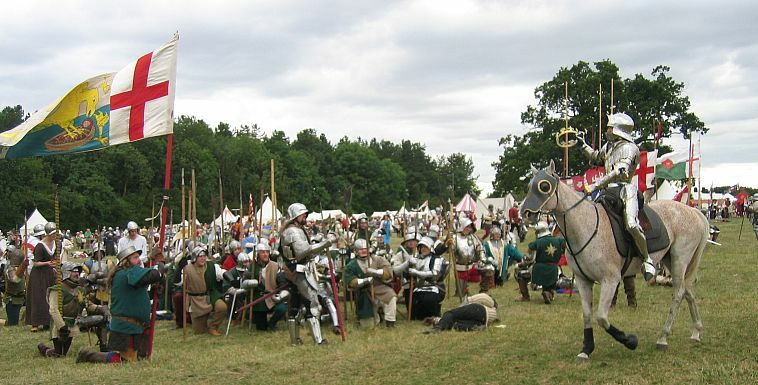 The Battle of Bosworth is well-known to all history fans as the place where King Richard III finally lost the Wars of the Roses, along with the English crown and his life. I don't think he ever shouted "A horse, a horse - my kingdom for a horse!" as portayed by Shakespeare. Neither was England's crown found hanging on a thornbush. But the story of Bosworth, and the story of King Richard III himself, is a story of ambition, valour and - ultimately - betrayal. And I still find it fascinating! For me, that's easy. I love to stand so close that I can touch history - and here you can really do that. The museum, with its many interactive exhibits is a great place to get acquainted with King Richard III and his adversary, Henry Tudor. Then you can wander the battlefield itself, following in the footsteps of two armies. You can stand in the spot where an English king died and the spot where another English king was crowned. Wonder what King Richard III thought about when he got ready for his last fight. How his soldiers felt when they saw him die. And - of course - hiss and boo the memory of the Stanleys, who held the balance of the battle in their hands. 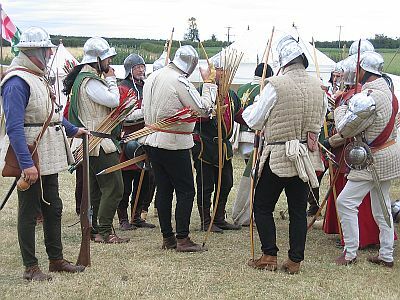 It's one of the easiest things to do in England to spend the day at Bosworth Battlefield - and when reenactors are here, or Knight School is in session, then it's even easier. The museum at Bosworth Battlefield Heritage Centre manages to offer something for everyone. If you're interested in 'serious' history, you can brush up on the results of the latest excavations and research. 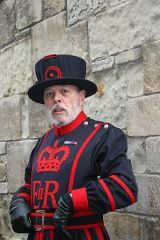 If medieval warfare interests you more, check out who was who in Richard's army or try on a mail coif and medieval style helmet and see if you could fight wearing that! If it's treasure you're after, don't miss the golden boar and other artefacts found during the battlefield excavations. Or wander the Battlefield Trail in search of musket shot and cannon balls. 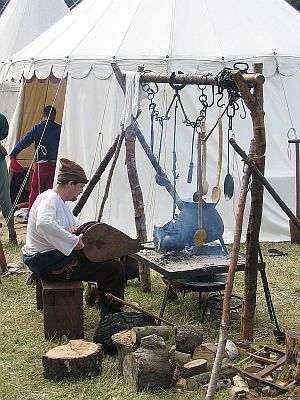 And if you'd rather know how people in the medieval world lived, dressed, ate, worked and were treated when they were ill - then you'll have a fun time with the exhibits. In addition to telling you all about the battle, Bosworth Battlefield offers other wonderful things to do in England. Falconry, or hunting with birds, was a popular medieval pastime for the rich and powerful. Not only did it add delicacies to the dinner table, but hunting with birds required skill and patience - characteristics also needed for battle. It's an amazing sight to see a falcon plummet to earth at a phenomenal speed, just to catch a rabbit or a mouse you - standing close by - hadn't even seen in the first place! 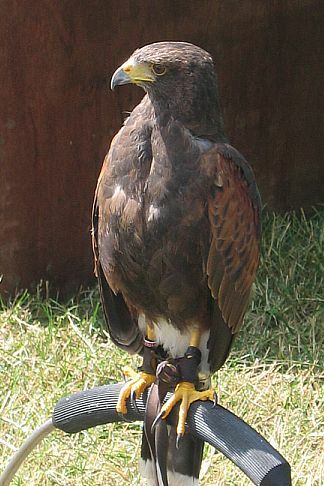 And when you visit Bosworth you have a good chance of experiencing it, as local company Hawkwise Falconry put on displays throughout the year. You can talk to the falconers, admire the birds and then watch them perform. And if you have ambitions to become a white knight yourself, then Knight School is a real treat. Great for special birthdays and school holidays, Knight School gives children aged 8 to 11 the perfect excuse to dress up in medieval gear and play with swords. Shame it wasn't around when I was a kid. I would have loved it! The Battle of Bosworth: What Was It Like? We can't field 12,000 soldiers like Richard III. We can't suddenly lose modern technology, medicine or all regards for health & safety. So we won't ever really experience what a medieval battle was like. Fortunately, there are enough people who at least want to give living in medieval England a try. And watching them can give us a bit of an idea what it might have been like that August morning in 1485. 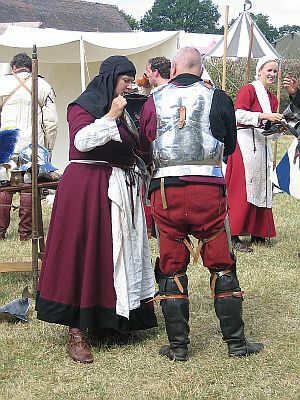 Some were preparing their gear, while others found help putting on their mail, leathers or any kind of armour they had brought. 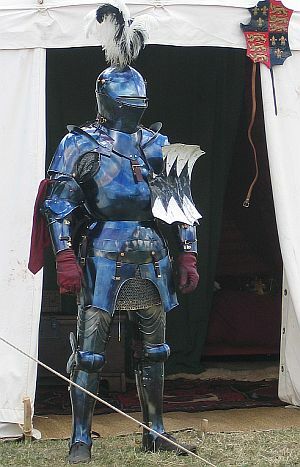 In medieval times, most soldiers had to being their own arms and protective clothing. Archers would have checked their bowstrings and their arrows, and everyone would be sharpening knives and swords. King Richard is having breakfast with his nobles, before getting his horse and himself ready for the battle. 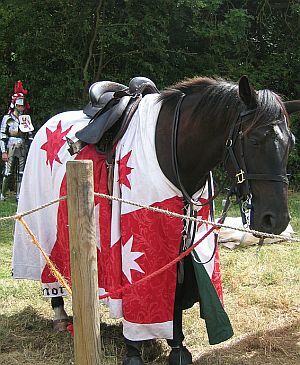 Full plate armour for a knight could weigh up to 70 pounds and often the horses were armoured, too. So horses needed to be especially strong. Medieval war horses were called destriers and they were specially bred to be sturdy and trained to be agressive and fearless in battle. Then the archers, foot soldiers and men-at-arms assembled and marched to the battlefield. 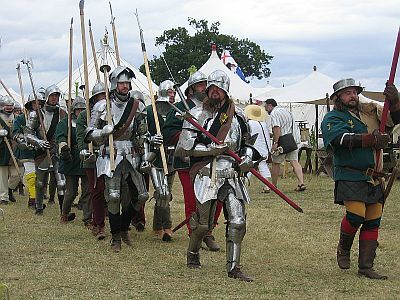 The Earl of Oxford's men fought against the men of the Duke of Norfolk, while the Stanleys, who waited to see who would win before deciding whom to support, spent most of their time on the field as spectators - until they decide to attack the king's troops from the rear. King Richard III makes one final brave attempt to reach Henry Tudor. He almost succeeds, but is eventually slain and stripped of the crown, which is presented to Henry Tudor by none other than the treacherous Lord Stanley. And so the Wars of the Roses were over. The Plantagenets, who had reigned in England for over 300 years were dead and a new dynasty, the Tudors, took over as kings of England. Henry Tudor married Elizabeth of York, eldest daughter of King Edward IV, thereby uniting the formerly warring factions. And the red rose of Lancaster and the white rose of York became the double-flowered Tudor rose. Witnessing a reenactment of such a famouse, pivotal battle must be one of the most amazings things to do in England. It's certainly one of the most fun! 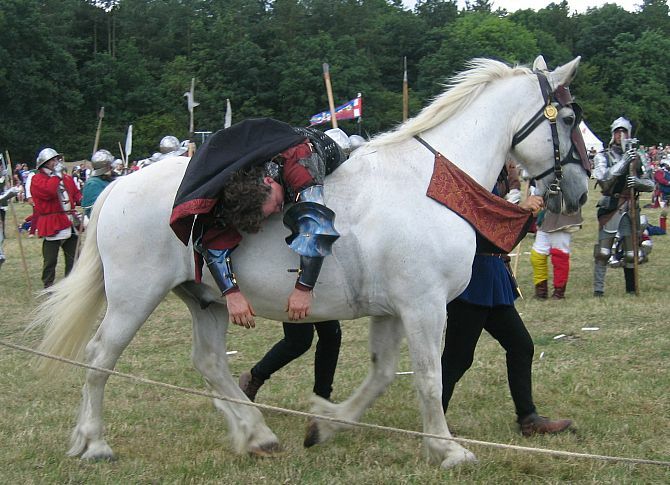 Medieval battles or Bosworth battlefield not enough to wear out your crowd? 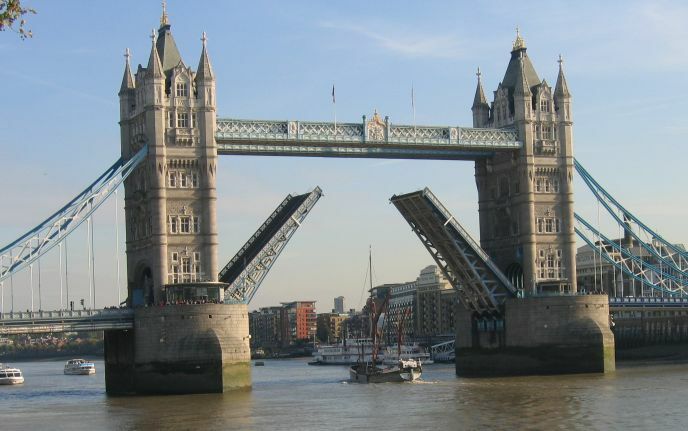 For more things to do in England, check out this page.